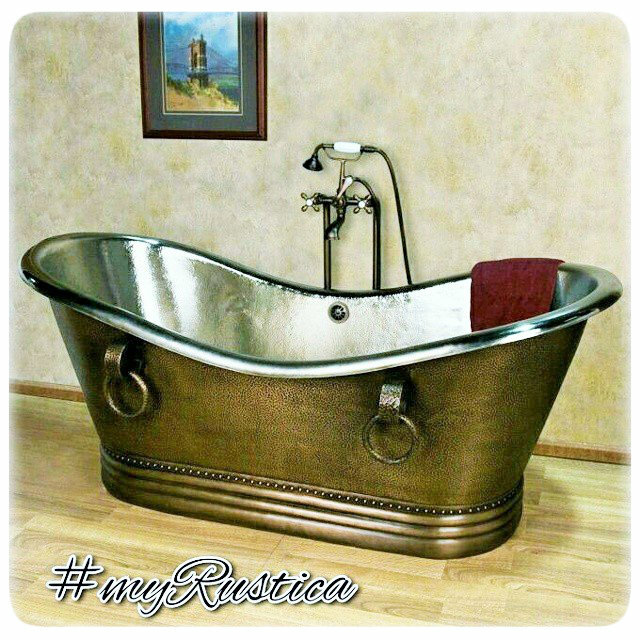 Click the button below to add the Copper Bathtub '9932' to your wish list. Natural patina with little contrasting tones make this double wall copper bath-tub much more modern looking than the rest of the line. Model #9932 is oval with its drain located on the bottom center. It can be also equipped with a drain-back feature preventing bathroom floor flooding. See product detail page options below the tub price. Average delivery time takes four weeks.